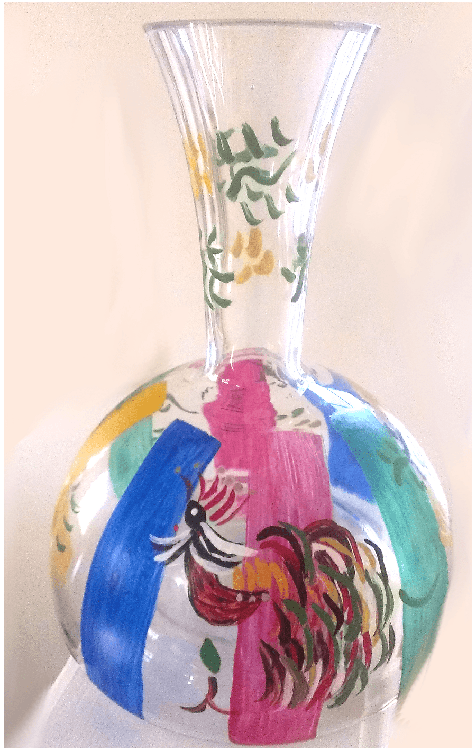 Brightly feathered Rooster in lots of bold colors hand painted on a crystal decanter. Our barnyard beauty loves to strut his stuff! 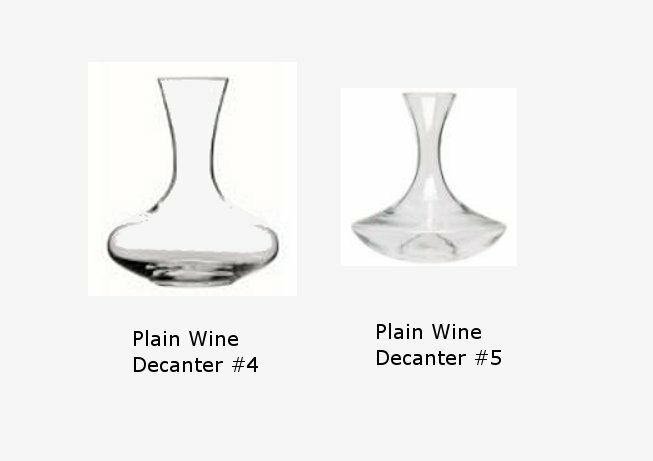 But he is so vain that he can be seen on matching hand painted Rooster wine glasses and cheese domes. None of the other chickens in the yard compare to his large colorful plumage. 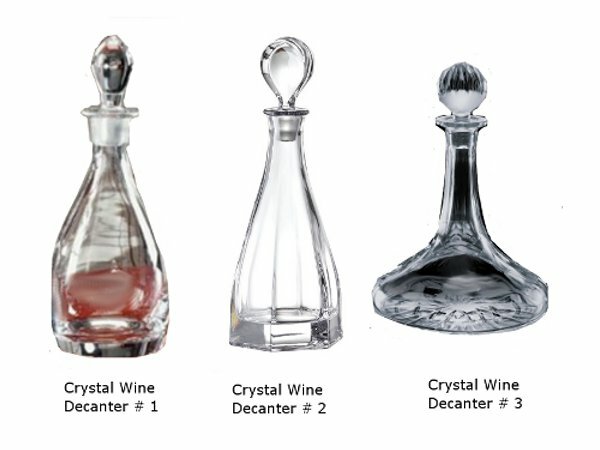 We hand paint stripes all around the wine decanter of a boastful Rooster to give a distinct visual image.